Lebanon's caretaker foreign minister escalated his row with the UN refugee agency UNHCR on Wednesday, accusing it at a news conference of working to stop refugees from returning to Syria. "UNHCR does not forbid refugees from returning," Rula Amin, UNHCR's MENA region spokesperson sad in emailed comments to Reuters. "UNHCR's policy is clear on this matter: we respect people's free choices to return." As Syrian forces and their allies retake more territory, Lebanon's president and other politicians have increasingly called for refugees to go back to "secure areas" before a deal is reached to end the war. The international view is that it would not be safe for them to return yet. The UN has registered about a million refugees in Lebanon - nearly a quarter of Lebanon's population. The Lebanese government, which puts the figure at 1.5 million, says it wants them to start going back to territory where fighting is over. Some 19 UNHCR staff members are affected by the Lebanese residency permit freeze, UNHCR Lebanon representative, Mireille Girard, told Reuters on Tuesday, and the agency's spokesman in Geneva said it hopes the decision will be reversed. The UNHCR favours the return of all refugees when it is safe for them to go home and speaks to refugees in all countries when they are preparing to return home to make sure it can give them enough support and protection, Girard said. "We understand, Lebanon cannot accommodate such a large population," UNHCR head Filippo Grandi said at a press conference in Geneva. "We say: 'Be patient, because returns will be limited by conditions in Syria'. And at the same time, we say to donor countries: 'You must do more for Lebanon. Not only regarding refugees, but also for the communities who are accommodating these people," Grandi said. 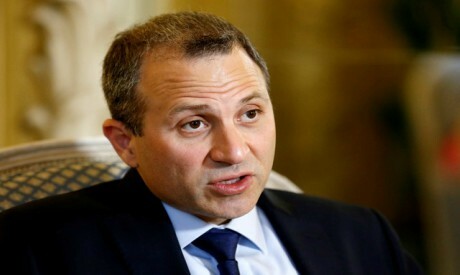 Another senior UN official, the deputy special coordinator for Lebanon Philippe Lazzarini, said the UN shares Lebanon's view that refugees' stay in Lebanon should be temporary, but he said they need to be able to return safely. "The UN has and will continue to respect individual decisions of refugees to return home," he told Reuters.